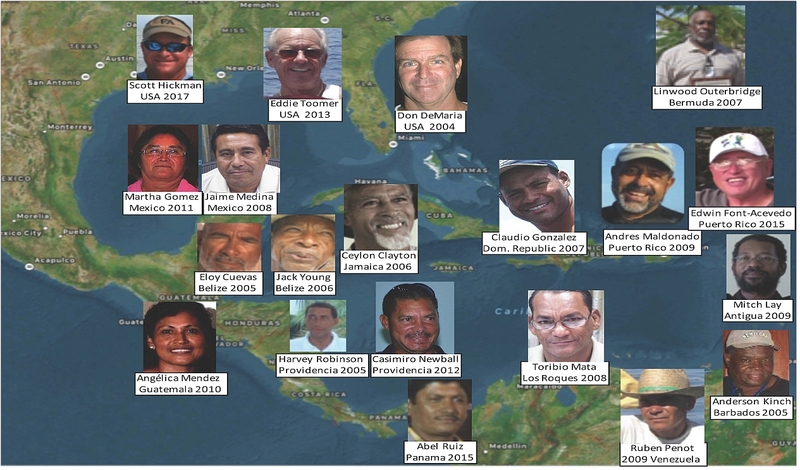 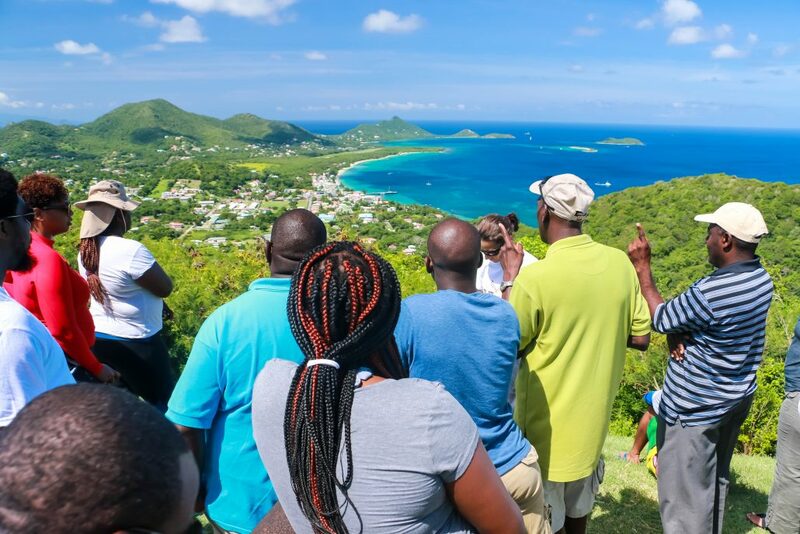 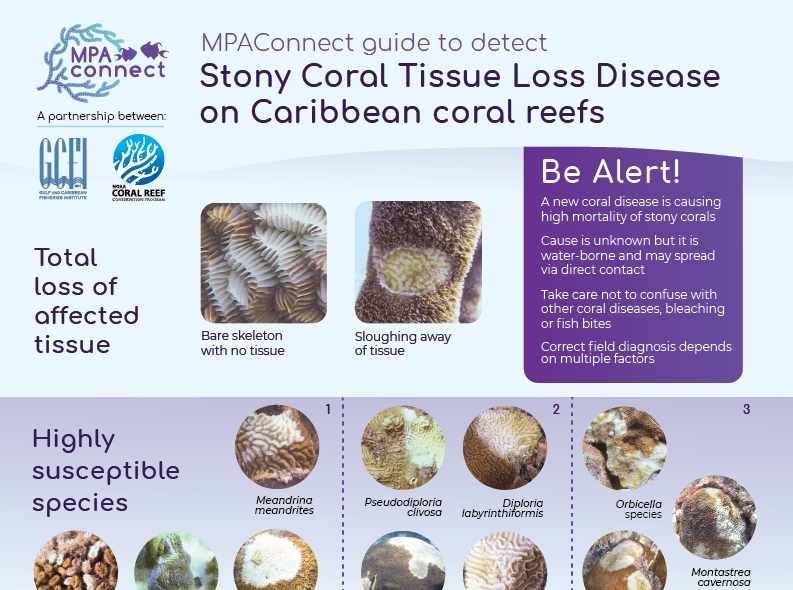 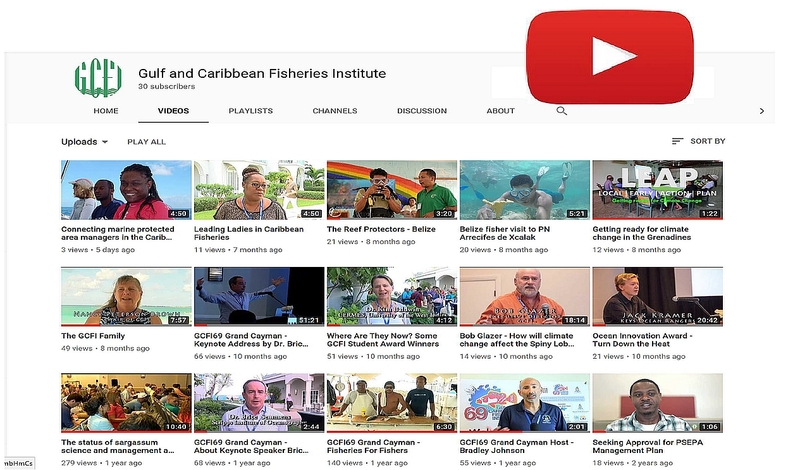 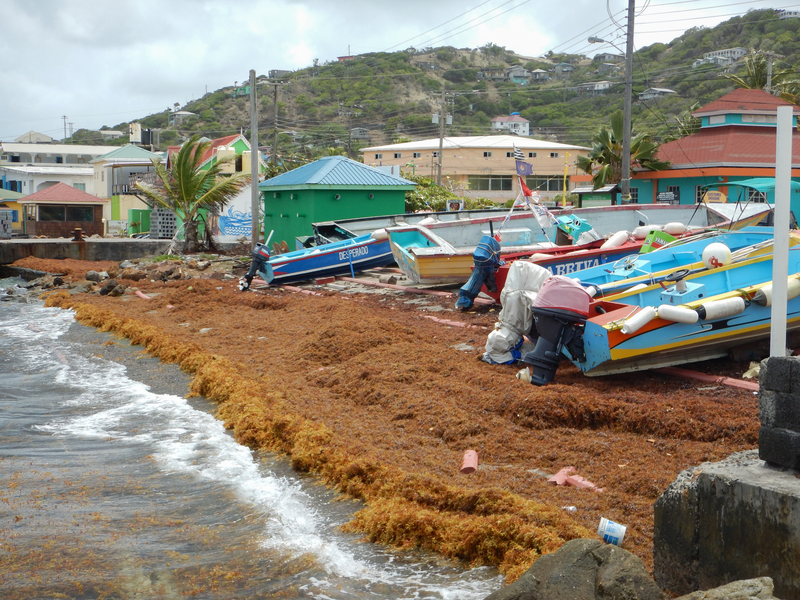 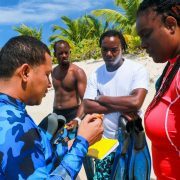 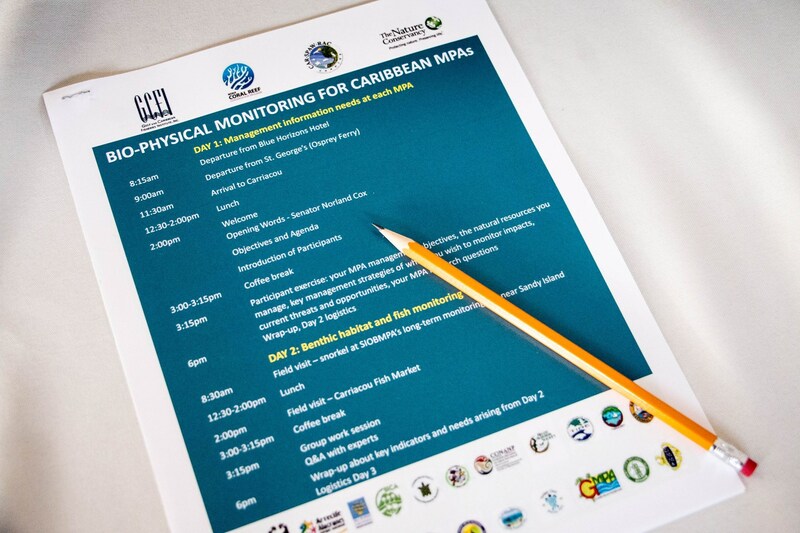 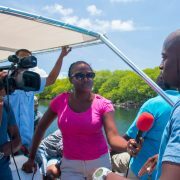 In September 2016, twenty-five coral reef managers and marine biologists from MPAs in 10 Caribbean countries and territories met on the island of Carriacou in Grenada to hone their practical knowledge of bio-physical monitoring and MPA management. 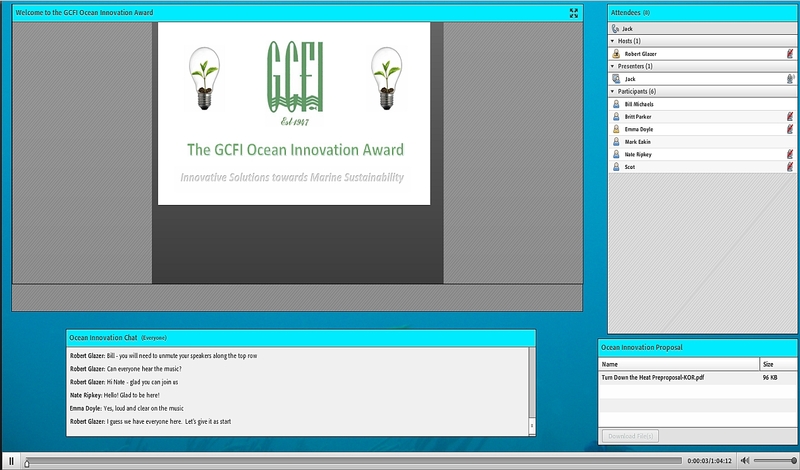 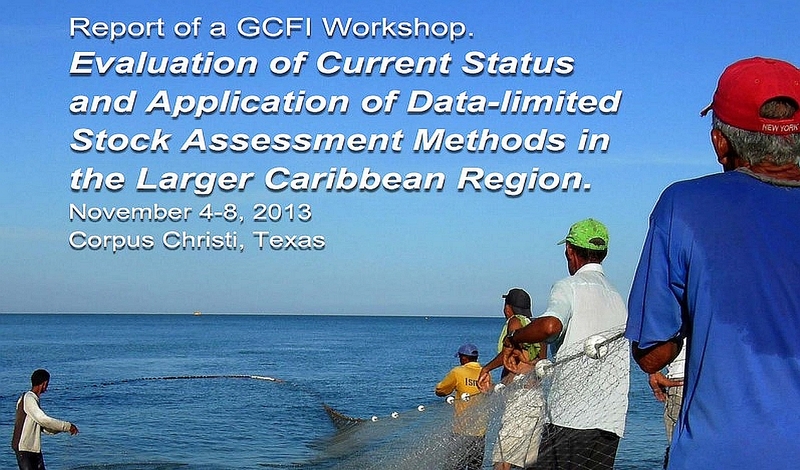 Although information about monitoring protocols abounds, this workshop filled a subtle but important gap in capacity needed to ensure effective MPA management – it provided an opportunity for managers to consider threats to their MPAs, to assess existing information and past protocols applied, to take into account feasibility of new monitoring based on likely effort needed and cost involved, to plan scope for the communication of monitoring findings to decision-makers and stakeholders in order to drive action. 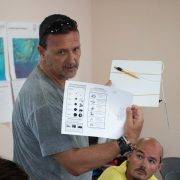 In this way it assisted them in assessing the role of biophysical monitoring in supporting adaptive management decisions and to prioritize monitoring efforts accordingly. 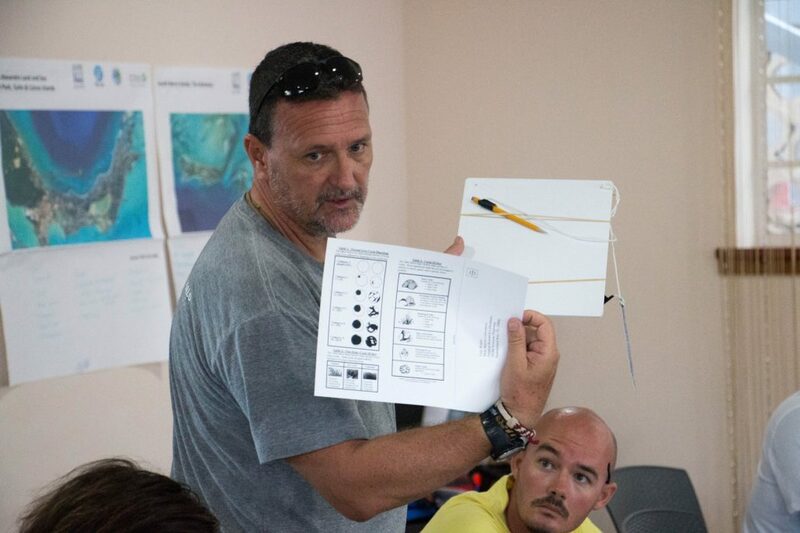 Participants commented in the workshop evaluation that this equipped them to plan and implement more meaningful MPA bio-physical monitoring to support local decision-making needs at their sites and drive management action. 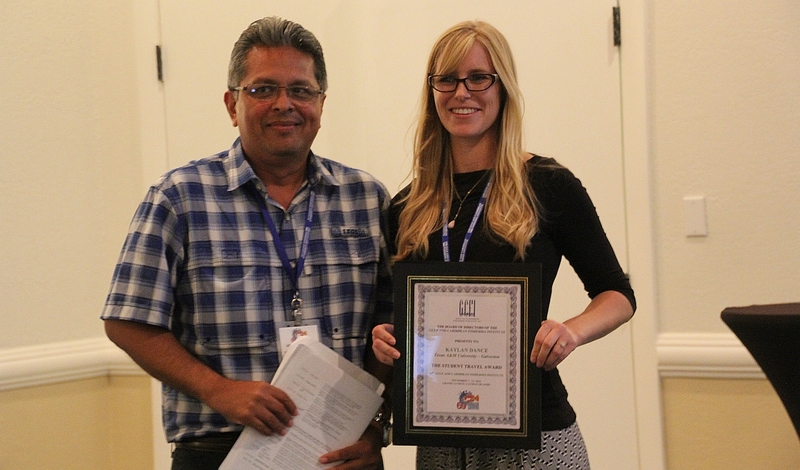 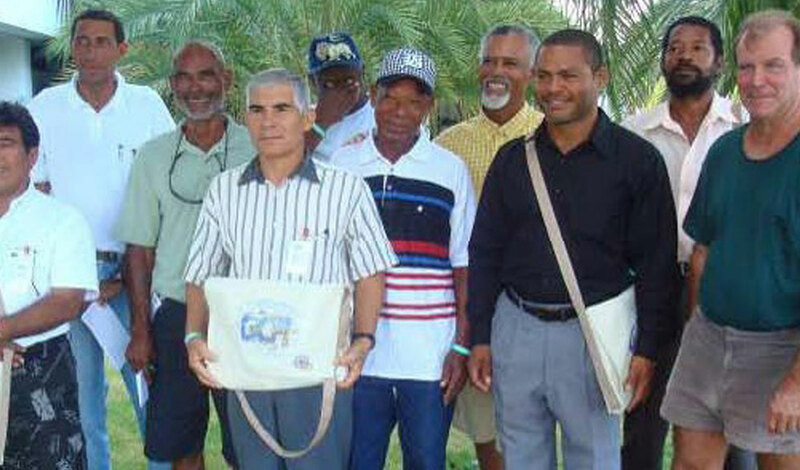 The participants worked together in the field to exchange information, share experiences, examine best practices and explore innovative approaches to communicating findings. 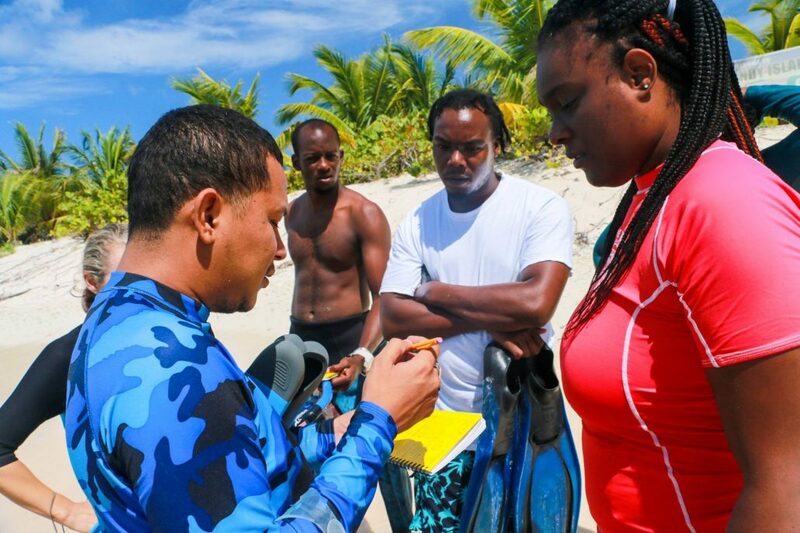 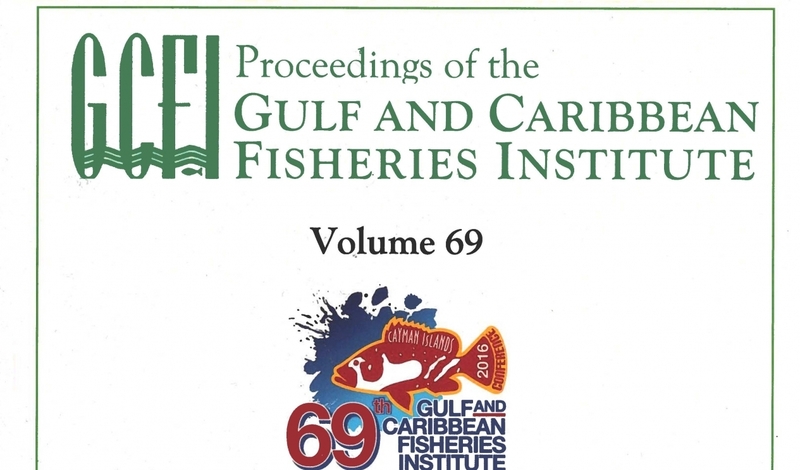 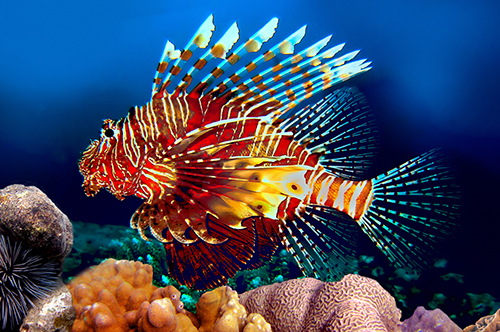 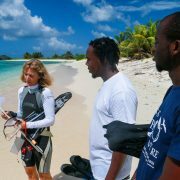 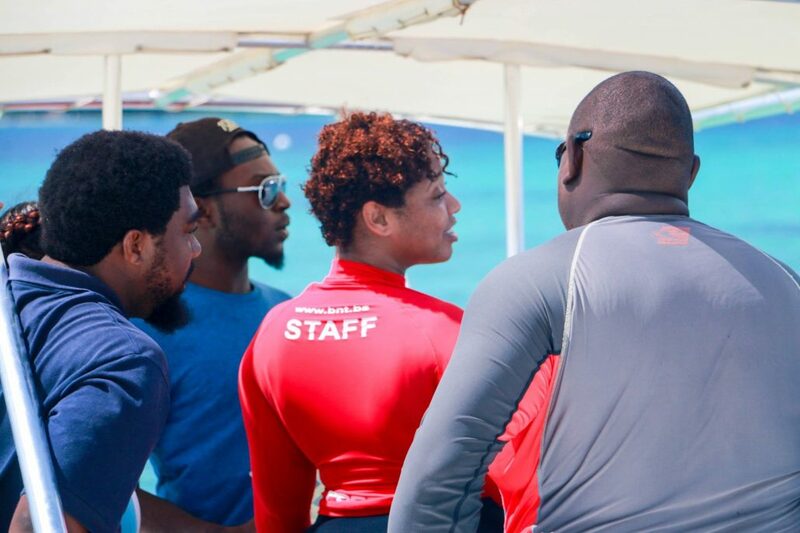 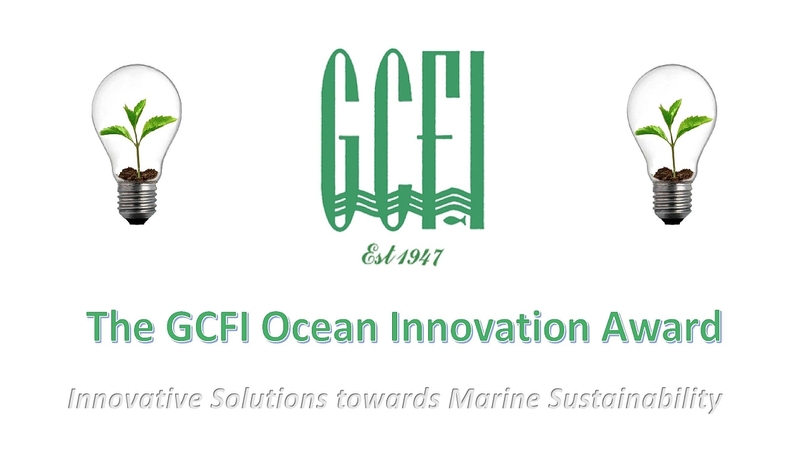 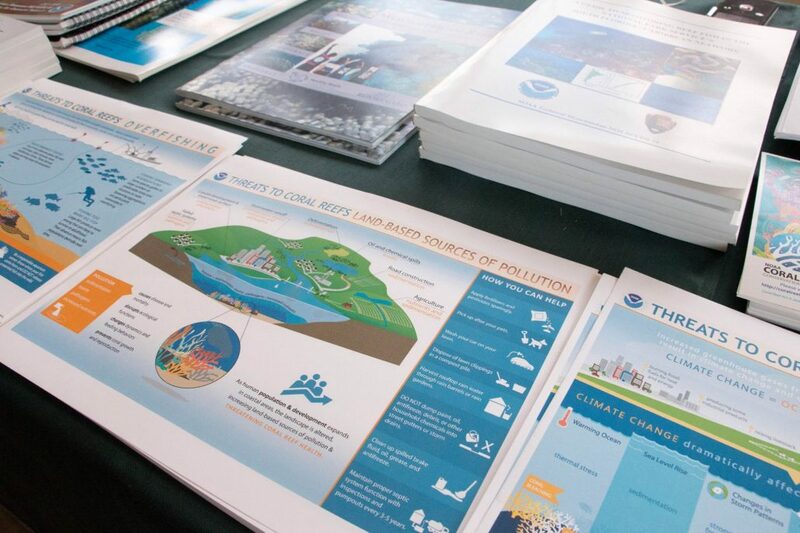 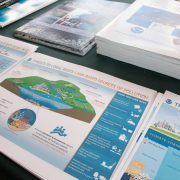 Technical expertise was provided by the National Oceanic and Atmospheric Administration (NOAA), the University of the West Indies, St. George’s University and Reef Support. 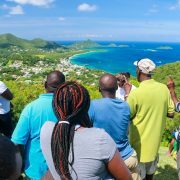 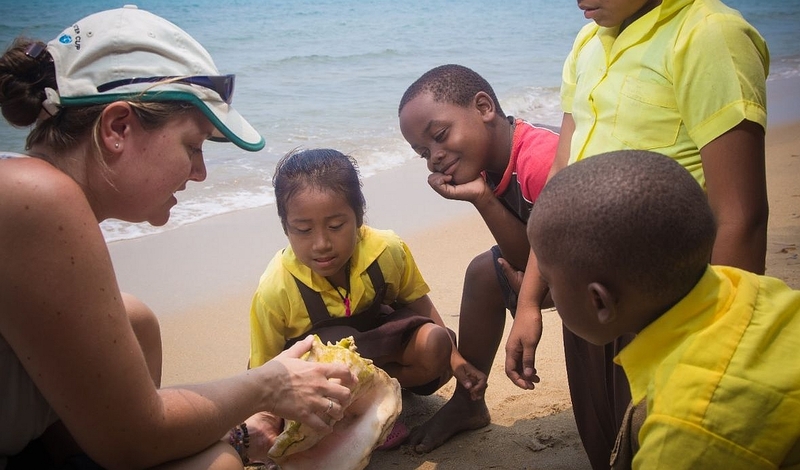 Co-funding was provided by The Nature Conservancy (TNC), Sustainable Grenadines Inc. and the Protocol Concerning Specially Protected Areas and Wildlife’s Regional Activity Centre (SPAW-RAC). 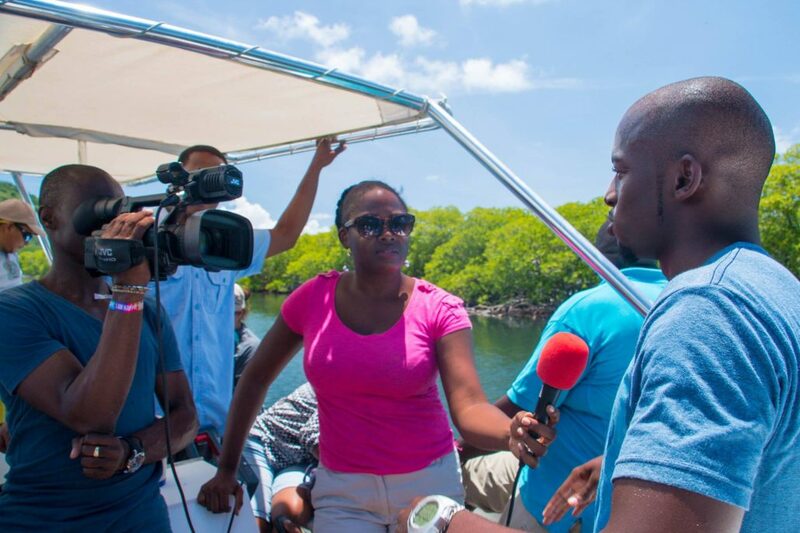 Thanks to the Grenada Broadcasting Network for assisting with training exercises and for media coverage of the workshop. 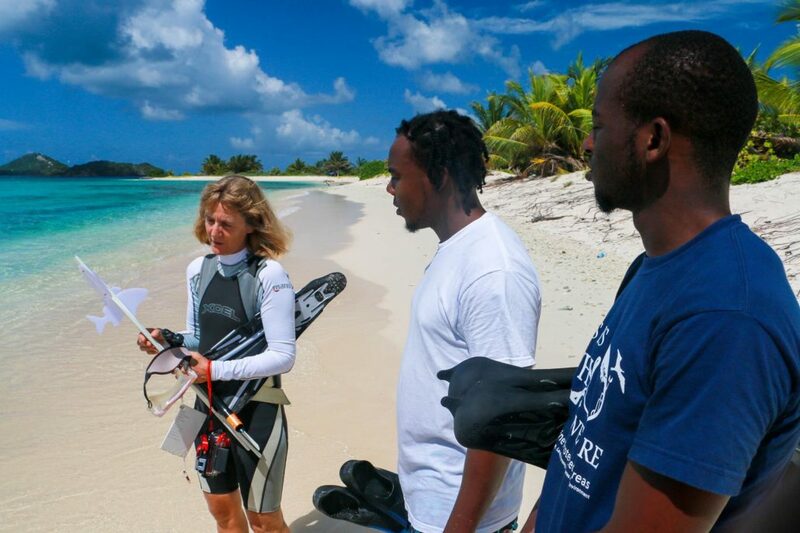 Big thanks to the team at Sandy Island/Oyster Bed Marine Protected Area for hosting the workshop in the fabulous surroundings of their beaches, offshore islands, coral reefs, mangroves and inland hills.